This post was created in partnership with Ninja® Cooking System with Auto-iQ™. I received complimentary products and compensation to facilitate my review, but all opinions within are my own. I love slow cooker recipes! 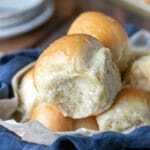 I’ve made countless slow cooker dinners and breakfasts and even cooked rolls and cinnamon rolls in them. Seriously, there isn’t much that a slow cooker can’t do! 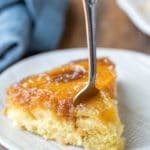 Even though I love how easy slow cookers are, there are a few things that I’ve wished my slow cooker could do. 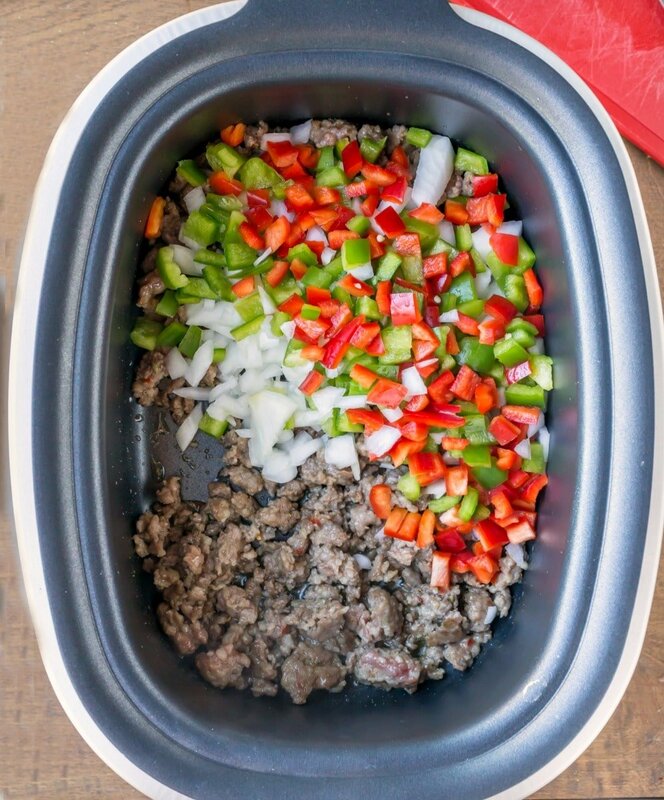 I have quite a few recipes that requite browning the meat before adding it to the slow cooker, and browning ground beef and sausage is a must to keep the meal from getting too greasy. And sautéing vegetables isn’t always necessary, but it does add more flavor when I take the time to do it before adding the veggies to the slow cooker. That’s why I was really excited to use the Ninja® Cooking System with Auto-iQ™. Let me add as an aside, I don’t talk about products very often. Unless I like something enough that I would recommend it to my family members, I don’t feel comfortable talking about it on here. So, when I say that I’m excited about a product, I really am. The Ninja Cooking System with Auto-iQ has a built-in stove feature that allows for browning, sautéing, and searing right in the insert, which is super convenient because then you can just continue on with the recipe without having to dirty a separate pan. 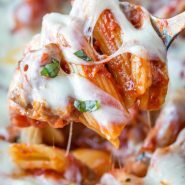 That means for this slow cooker baked ziti recipe that you can brown the meat and sauté the veggies and then continue making the sauce all in the insert. 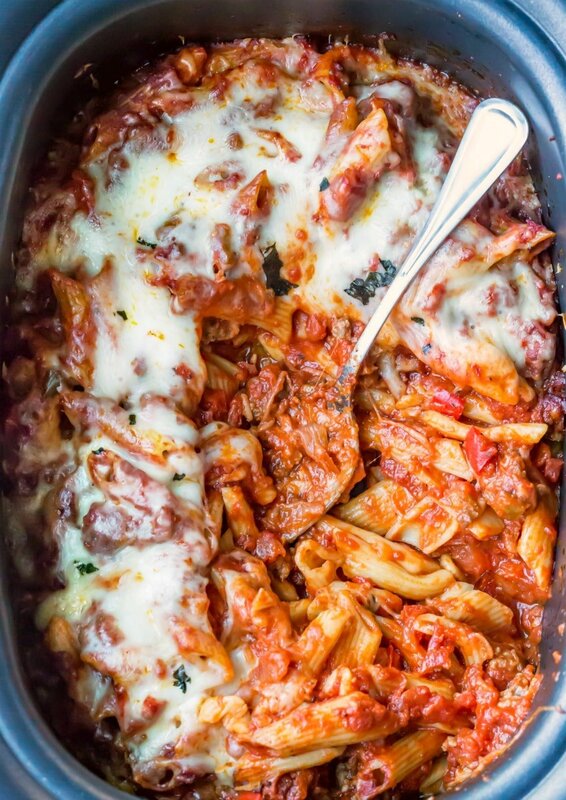 This baked ziti was really popular with my kids. My son asked what smelled so good while it was cooking, and all of my kids went back for seconds. 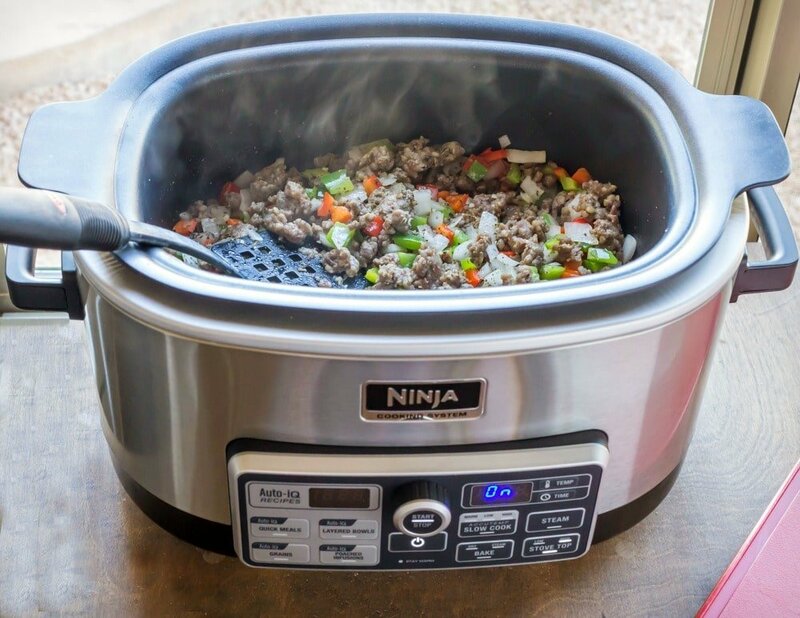 In addition to the stove top and slow cooking features, the Ninja Cooking System with Auto-iQ can also be used as a steamer and an oven for baking. I don’t do very much steaming, but I am looking forward to using the oven feature during the holidays. It also features more than 80 pre-programmed recipes. Just select a recipe number, add ingredients, and let Auto-iQ™ cook for you. One of the things that I’m impressed with is that it cooks evenly. I’ve used foil collars and inserts to help guard against hot spots. 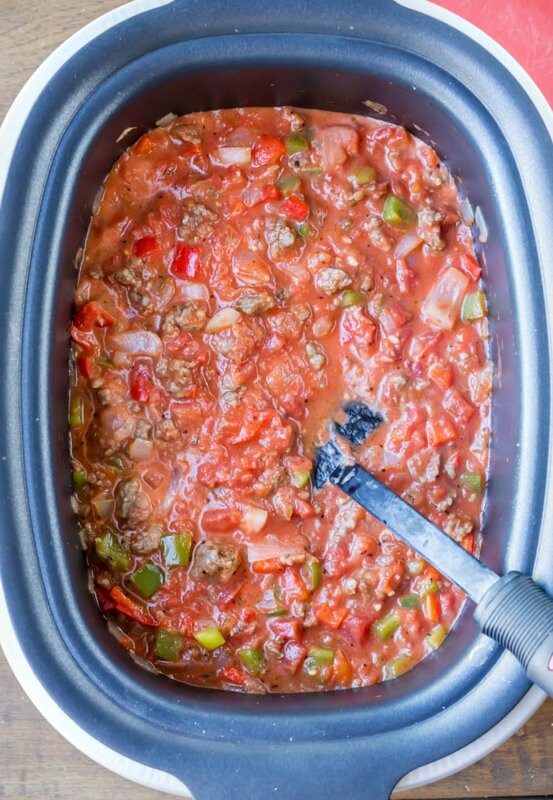 However, it has Triple Fusion Heat® that brings bottom, side, and steam heat together for easy one-pot meals. And… you can enter to win the Ninja® Cooking System with Auto-iQ™ Giveaway by entering your email, and you can increase your chances of winning by completing optional social media actions. Winners will be randomly selected from all program entries, and Ninja will facilitate fulfillment of the 20 winning prizes. Or you can use my code “KATE15” to receive 15% off your very own Ninja® Cooking System with Auto-iQ™ – good from now until Dec. 31, 2017. 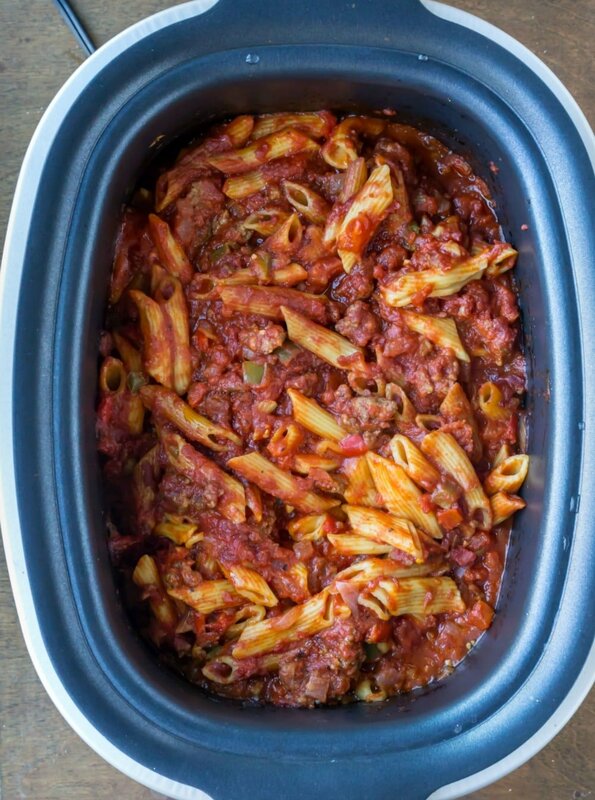 Slow Cooker Baked Ziti is an easy crock pot pasta dinner that's perfect for weeknight meals. The pasta cooks right in the sauce! Turn stovetop setting to HIGH. Add Italian sausage, and cook until browned. Drain grease if desired. Stir in onion and peppers, and cook until vegetables are softened. Add garlic, Italian seasoning, and basil. Stir in to combine. Stir in crushed tomatoes, diced tomatoes, and heavy cream. 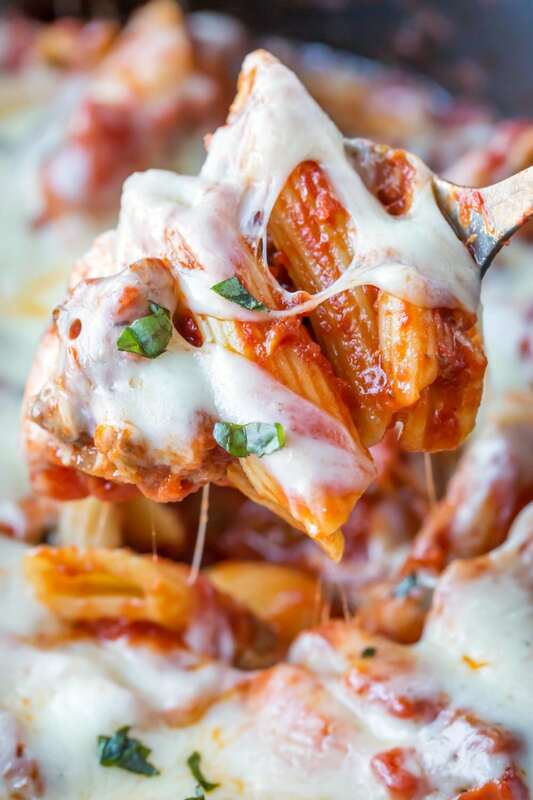 Add ziti to insert, and nestle into the sauce. Pour tomato sauce over pasta, and make sure that noodles are covered in sauce. Turn slow cooker setting to HIGH. Cover, and cook for 3 hours. Sprinkle mozzarella over pasta. Cover, and let melt. Hi! I will be gone at work all day. Can I cook it on low for more hours? How long? Hi! I haven’t tried cooking it on LOW for 6 hours to say for certain whether or not that will work. 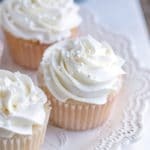 Can I double this recipe? If I do, how long should I cook it? Hi! I haven’t tried to double this recipe so I’m afraid that I don’t know the answer on that one. How long would you cook it on high if you are in a hurry? Sorry, but I’m not sure that cooking it on high would work with pasta. I’ve never tried it to say for sure. This might be a dumb question, but this will be my first time using my ninja! Do I cook the ziti first, or put them in hard for 3 hours? I feel like it would get soggy if I put cooked noodles in for 3 hours? Made it and everyone enjoyed. Adding the pasta for 30 mins. What if I don’t have heavy cream? Can I just leave it out? The heavy cream helps to add richness and tone down some of the acidity in the sauce. Do you have half-and-half or something similar? Can this be prepared in just a regular crockpot without all the inserts? Sure! Steps 2-6 would just need to be completed in a skillet on the stovetop. Also, I would suggest using a crock pot liner or spraying the crock with nonstick cooking spray. Please let me know if you have any other questions! I found this recipe on pinterest. I’ve made crockpot pasta recipes from there that were so bad. I was scared that this one would be too, but it was really good! Thank you!